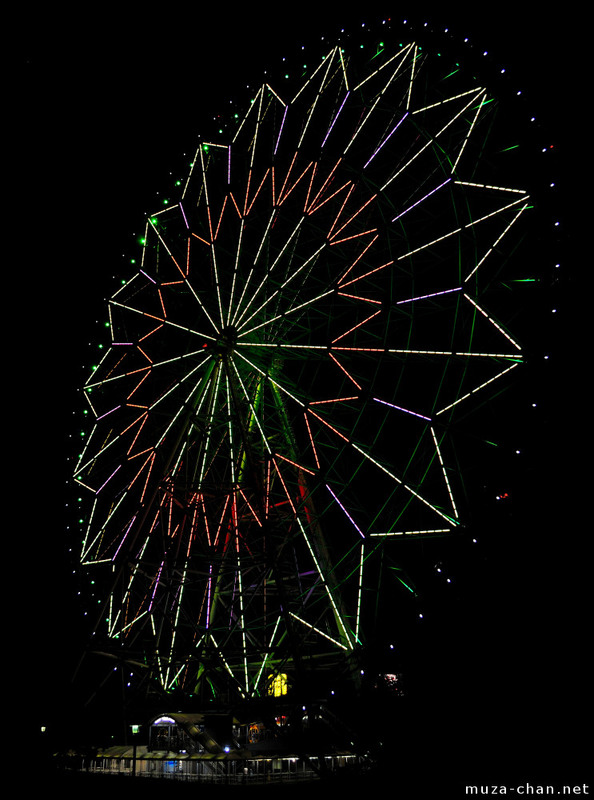 Daiya and Hana Ferris Wheel (Diamond and Flower Ferris Wheel) from the Kasai Rinkai Park was opened in 2001. 117 meters tall, it was at the time the tallest Ferris wheel in Japan, surpassing the Daikanransha Ferris from Palette Town, Odaiba which is 115 meters tall. However, the next year it was surpassed by the Sky Dream Ferris from Fukuoka, which was 120 meters. But since the Fukuoka Ferris was closed in 2009, Diamond and Flower is again the number one in Japan. According to a commercial, in Diamond and Flower Ferris you can have the “maximum kissing time” - a full rotation takes 17 minutes.